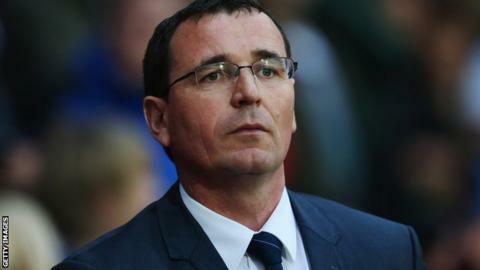 Championship side Blackburn Rovers have sacked manager Gary Bowyer with the club 16th in the table. The 44-year-old had two spells as caretaker manager while reserve-team boss at Ewood Park, before being appointed full-time in May 2013. Assistant boss Terry McPhillips, and coaches Craig Short, Tony Grant and John Keeley have also left the club. Bowyer's exit follows a 1-1 draw with Brentford on Saturday and they have only won three games this season. He finished eighth in his first full season in charge, followed by ninth in 2014-15, but leaves with the Rovers just four points above the relegation places. "The owners felt that following a disappointing start to the season, they have to act in order to give the club the best chance of success in the remainder of the campaign," said a club statement. "The owners wish to place on record their sincere gratitude for the hard work and determination Gary has given the club, both in his capacity as manager and previously as Under-21 coach and within the academy, in particular during the difficult period following relegation from the Premier League." Bowyer had been unable to buy players since December 2014 because Rovers breached the Football League's financial fair play rules. Blackburn, who are owned by Indian poultry firm Venky's, have said the search for a new manager will begin immediately, but they do not have another game until 21 November because of the international break.